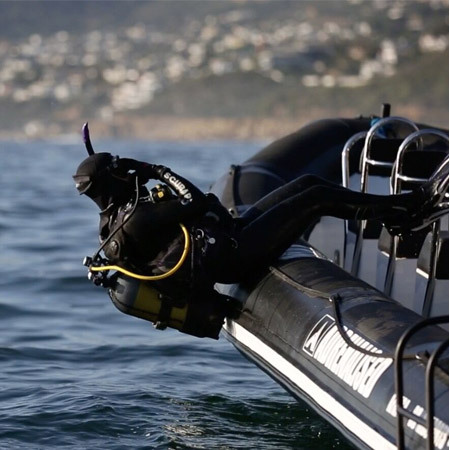 The dive site South Lion's Paw or just South Paw is in the Clifton area on the Atlantic seaboard of the Cape Peninsula, part of Cape Town. The name "South Lion's Paw" is an allusion to the mountain "Lion's Head" directly above Clifton. The mountain is likened to the head of a reclining lion, whose back is Signal Hill, and whose paws are the two groups of rocks to the south and north of Clifton. Granite corestone outcrops and boulders of large size, a small group of which break the surface and have precipitous walls dropping almost vertically to about 15m. They are surrounded by other smaller boulders and lower outcrops which extend some distance in all directions. There are small patches of coarse shelly aggregate in the bottom of the gullies, but no extensive sand bottom nearby. To the north of the eastern end of the exposed rocks is a large boulder with an arch against the main rocks, and there is a deep narrow gully along the north side, but the surge may be strong in this area. The site is exposed to the south west swell, so should be dived in low swell, and is often good after south east wind. The site is reasonably protected from south east winds, but if they are strong the boat trip may be unpleasant. 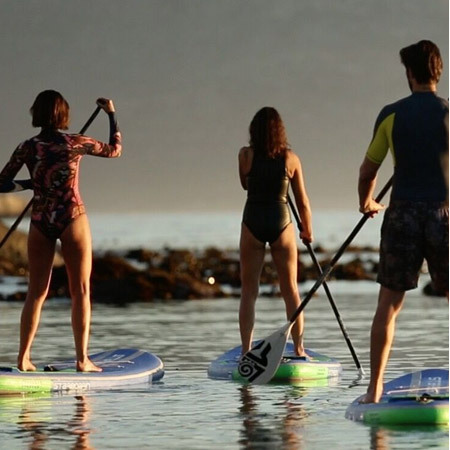 There is not much kelp as the reef is mostly too deep for it. The shallower rock surfaces have the usual heavy encrustation of red bait, and deeper steep and overhanging surfaces are covered by sponges, colonial ascidians, sea fans and anemones. Less steep deep surfaces have urchins and grey sea cucumbers. The nippled nudibranch has been photographed here, and is not known from anywhere else. October - May. The site is usually at it's best in summer but there are also occasional opportunities in autumn and early winter. 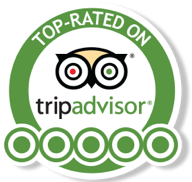 Minimum of 4 divers and a maximum of 8 divers. 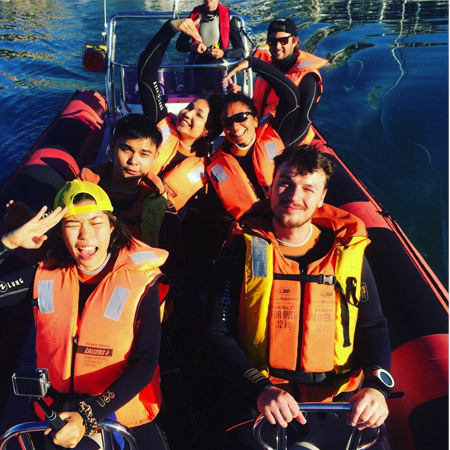 Boat Fees for 1 Dive (If you choose the catamaran option you need to add a second dive to your cart or go to our 2 tank yacht dive packages). Fruit Platter (On the catamaran). Equipment rental (full set): R625 per day including 1 cylinder. 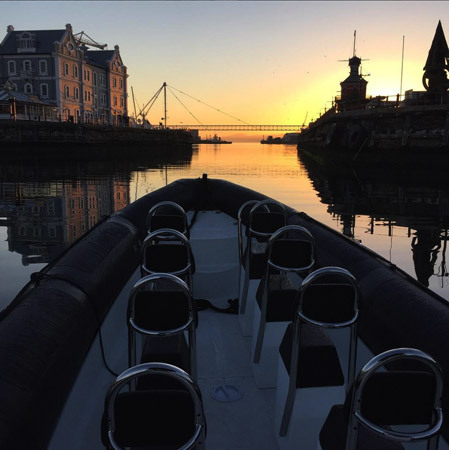 The only company running boat dive charter trips out of the Cape Town V&A Waterfront on 1 tank dive trips on a 8.5m RIB Boat. 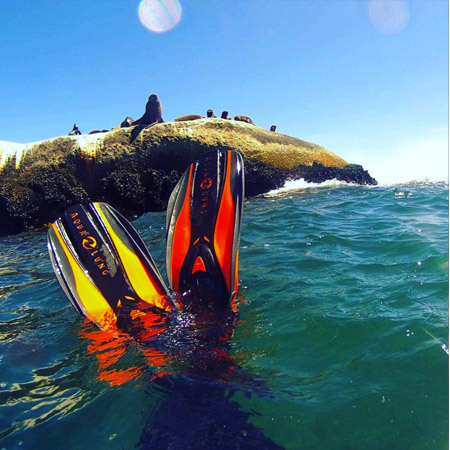 Dives range from scuba diving with Cape Fur Seals in Cape Town, Ship Wrecks, Coral Reefs, enchanting Kelp Forests as well as scuba diving around Robben Island. 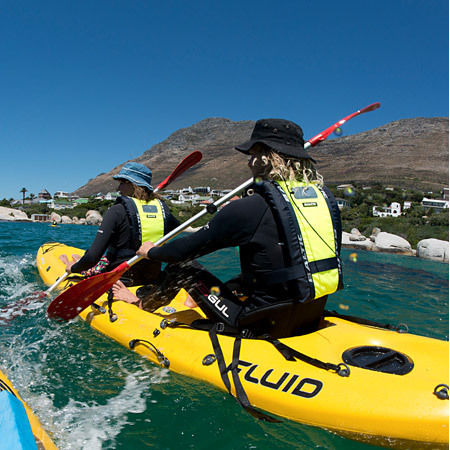 All the boat dives on the Atlantic Seaboard in and around Cape Town includes a MPA (Marine Protected Area) Permit which is valid for 1 month. 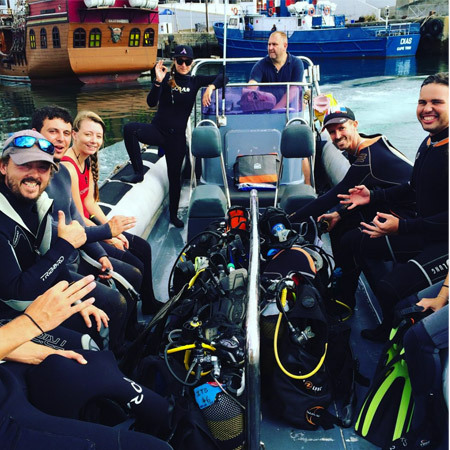 We limit our boat dive group sizes to a maximum of 8 divers and send 2 certified PADI dive guides on each dive.